There are about 30 species of lavender, which can be found from the Canary Islands eastward into western India, and they are divided into 6 sections, of which 4 are significant as herbs. The plant is a woody-based sub-shrub and will rarely exceed 70cm in height. Both fresh and dried flowers are used in cooking – make sure that any flowers you use for culinary purposes have not been sprayed with garden chemicals. 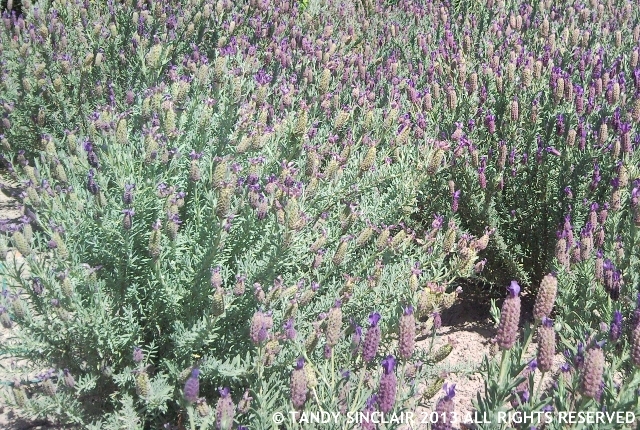 These flowers are one of the herbs that make up herbs de Provence . All varieties of the plant require excellent drainage and full sun. They are better grown fairly hard, and a slow release fertilizer or a light application of organic compost is recommended. They are all suited to being grown in large pots. Varieties are propagated by cuttings, but species are seed sown in spring. Prune the plants annually, preferably in early spring. True and Intermedia varieties can be shaped during harvesting. Never cut back hard into old wood, or the plants may die. Harvest true True and Intermedia flowers in midsummer when spikes are one to two-thirds open. Tie the stems in bunches and hand them upside-down to dry; strip them of their flowers. 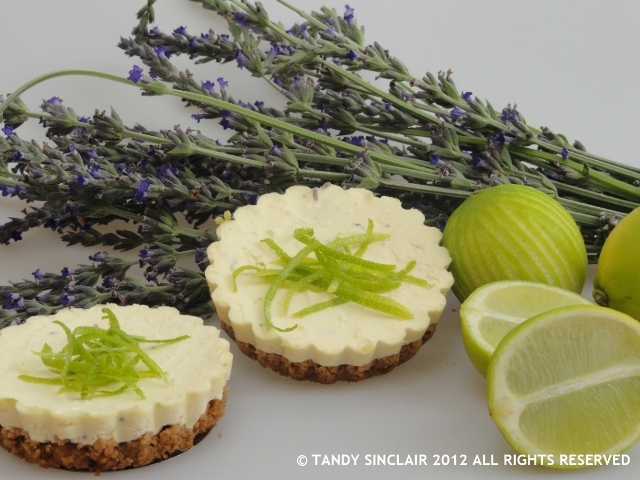 Lavender’s culinary applications are limited, although the flowers are edible. They are used in the Moroccan spice ras el hanout. Lavender goes well in sweet dishes containing cream, such as ice cream. It can be added to shortbread and icings and used in jams and jellies. Crystallize the flowers as edible cake decorations. I love lavender too. My favourite is a tender one called l. pinnata christiana (see http://blog.jerseylavender.co.uk/?p=206). It has fern-shaped, lemon scented leaves and unusual forked flower heads.It’s only drawback is that it makes a rather untidy plant. I also love lavender in cooking, but in moderation as you so rightly say! Your post reminded me of my intention to make Honey and Lavender Rye Bread from Richard Bertinet’s “Dough”. I made it this morning – delicious! I love the sound of that bread, and the lavender – now I have to go and bake! I have to plant some more soon! Oh Oh Oh!!! Your posts are always so perfect for what I’m doing! I am planning (whenever I get some time) to use lavendar in some sweets. I haven’t decided what yet. Last year I made some wonderful lavendar blueberry ice cream and lavendar lemon ice cream. I adore using flowers in sweet treats whenever possible. I think many people don’t like it though and you have to be careful not to use too much. I am so looking forward to your lavender sweets! LOVE lavender – I had fresh lavender tea once and came down with the worst migraine I have ever suffered! 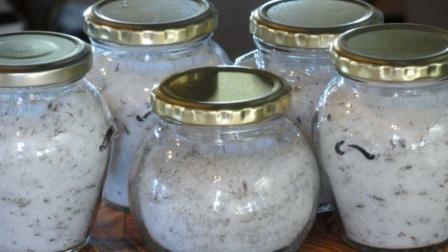 I often put a couple of drops lavender oil in my bath in the evenings. Lovely lavender, and so useful. I have used them in my handmade soaps, unfortunately they lose their splendid colour but they still conjure up images of lavender fields in the sun. Lavender blossoms also go well with a salad and add that extra bit of colour. Lovely post, Tandy, thanks for sharing and have a fabulous weekend (take some time out, do not work too hard).